Sarah was the one who first tipped me off to Maud Hart Lovelace. I never read any of these books as a child. I discovered Betsy and Tacy as an adult which is somewhat regrettable but at least it finally happened, right? I've not read anything of Lovelace's other than Betsy-Tacy so it's fun to spend this month with other characters in Deep Valley. 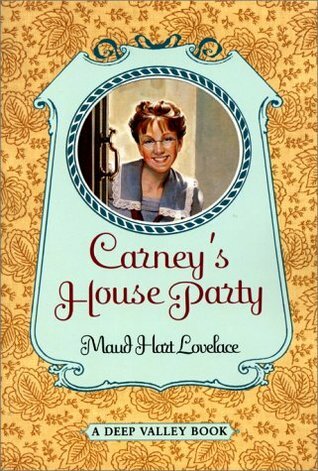 Carney's House Party is set in the summer of 1911 and, as the title suggests, features the character of Carney who invites her friend, Isobel, to visit her at her home in Deep Valley while they are on break from their college studies at Vassar Female College. Carney's old friend Bonnie Andrews and Betsy Ray also comes to stay for a few weeks and we, the readers, get to enjoy their summer fun. And the girls do have a lot of fun juggling beaus and adventures as the summer progresses. Sarah wrote a review of Carney's House Party which is more thorough and interesting that anything that I could possibly write and so I invite you to read her thoughts to get a good handle on what this book is all about. I don't point you over there to be lazy, but all I can do is really repeat what has already been said and she's much more familiar with Lovelace's world than I am. For my part, I really enjoyed this Deep Valley story. Lovelace, as I mention, is a very easy read. Her stories are easy to relax into and float along with. The characters are charming in that they make you smile and sigh (without annoyance attached). I enjoyed the romance of the book. It felt like a very clean and calm chick flick. Actually, the entire time I was reading this book (which was published in 1949) I kept thinking it would make a good Haley Mills feature film. The whole romance just had a silly feel to it and yet you know who you want Carney to end up with in the end. (There are deeper thoughts to devote to this book than romance. Again, see Sarah's post.) It's all lighthearted and conservative. The thing I found most interesting about the book, from a theological perspective, is Lovelace's views on God. She left the Baptist church to join the Episcopalians (just like Betsy Ray) before high school. Beyond that, I can't seem to find very much information online at all which explains exactly what her beliefs were. All I'm left with is her fiction. Lovelace paints Carney out as a character who finds value in going to church and "sorting out her thoughts" but leaves "religion" at the door. Carney liked the golden text. "What doth the Lord require of thee, but to do justly, and to love mercy, and to walk humbly with thy God?" Obviously I disagree with that worldview statement. If all church is to a person is a place to organize their thoughts then it isn't worth very much. You can just as easily visit your local coffee shop on a Sunday morning and organize your thoughts with the help of a deliciously caffeinated beverage. I think Carney (Lovelace?) enjoyed the first two requirements of Micah 6:8. She liked the idea of justice and mercy but flagged a bit on the idea of walking humbly with God. That is a whole 'nother ball of wax, so to speak, which requires a belief in Jesus' death on the cross as payment for our sins. There doesn't seem to be any confession of sin in Carney's world, but there is a healthy dose of confusion over what the scriptures teach. It is bothersome to see scriptures so grossly mishandled to suit a particular character's personality. I'm not going to assume that Lovelace had a very good grasp and understanding of what the Bible actually teaches but since this book was not meant to be religious in nature, I can move past it. Lovelace's lazy approach to scripture doesn't make me wish to avoid her writings (any more than I avoid Montgomery's). I'm noting it more as an interesting aside and not at all as a condemnation for her works. 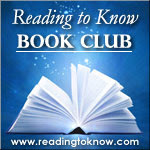 As I testified, I find her books easy, relaxing and fast reads. When you are in the mood for a pleasant story, Lovelace stands at the ready to provide one. I'm looking forward to diving into Winona's Pony Cart next! I find the romance to be just right...sometimes silly, but not over the top (though Betsy was rather boy-crazy in other books). In The Trees Kneel at Christmas, a nonDeep Valley/Betsy-Tacy short chapter book for children, I felt the writings of MHL had a Catholic feel to it. Rather impersonal, though respect. I think a few words (possibly referring to Mary?) made me think Catholic, though I didn't know MHL to be so. Winona's Pony Cart is my least favorite of MHL, but maybe you'll still enjoy it. I sometimes wonder if part of LMM and MHL confusion over religion was bc so many in the early 1900s didn't let their faith be true. It seems then everyone "had religion"...it just wasn't life...it was a small part of life bc it was expected and such. ???? I had never read MHL before now and had only heard of her some time in the last...I don't know, 10 years or so? I probably should have read one of her books about older girls, but I wanted to start at the beginning and read Betsy-Tacy. I think the spiritual viewpoint is probably common (though still wrong) for the times -- there was an era when plenty of people were church-going and God-fearing in the sense of having some degree of respect for and acknowledgment of Him, but depending on their "being good" rather than His grace. Why did I feel compelled to say that? 1. Yes! Hailey Mills would have been perfect in a BT book!! 2. I read Carney last year I think(?) and I remember thinking it was such a nice clean girly book, too. One that I won't feel a bit bad handing off to the girls in a few years. It's just fun. I haven't read this one, but I think I recall the writing in Emily seeming a little corny at times, maybe in connection with romance. I still loved it, though. I can't wait to get a hold of all the the others now! "I believe in praying as I believe in breathing. An involuntary procedure, prayer runs along with the day, following the convolutions of work and play, duties, problems, and delights... It is my way to turn to God at any hour, with a small joy as well as with a sorrow, with plans, hopes, thanks - even wishes. Not that I expect Him to stay the course of the planets while He grants my often misguided petitions. But since He is love and is everything, 'nearer than hands and feet,' one may share everything with Him, and there is a blessed release in doing so. What He gives, I earnestly believe, in response to such spontaneous prayers, is strength, insight, appreciations, serenity, but above all a continuing reassurance of His presence..."
This quote was inspiring to me and really touched on what Christianity is all about, having that personal relationship with God that is so intimate it just goes on almost unconsciously throughout the day as we just 'turn' to God in our hearts through every moment of life, walking through life with our Best Friend and Loving Papa, who we find to be nearer than hands and feet! Just thought I'd share that because I think it gave me a great picture of this wonderful lady and the beautiful faith she had. Blessings to you!